A new book from three members of the Landmark College community aims to change the lens of accommodation for college students with learning disabilities, attention-deficit/hyperactivity disorder, or autism. As the title suggests, From Disability to Diversity: College Success for Students with Learning Disabilities, ADHD, and Autism (NRC) by Lynne C. Shea, Linda Hecker, and Adam R. Lalor approaches learning disability from the perspective of difference, offering guidance for creating more inclusive learning environments on campus. 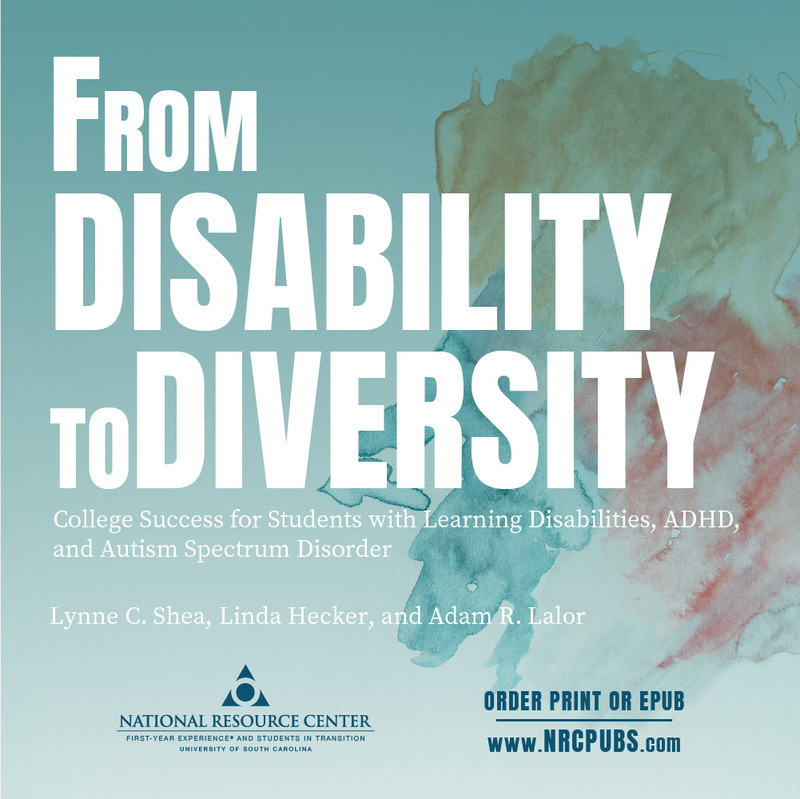 Instructors, advisors, academic support personnel, as well as others who work directly with college students who have a learning disability, ADHD, or autism will benefit from the strategies described in this valuable resource, drawn from the decades of combined experience Shea, Hecker, and Lalor have working with these students. Lynne Shea is currently the dean of the School for Liberal Studies and the Arts at Landmark College. She has also chaired the English and Humanities departments, and directed the College’s Institute for Research and Training (LCIRT), in addition to serving as a full professor in the English department. Linda Hecker is a professor emeritus following a 32-year career at Landmark College. She remains involved with LCIRT presenting workshops, seminars, and graduate courses on special education for educators and parents. Adam Lalor has been the lead education specialist for LCIRT since 2017. Since receiving his Ph.D. in Educational Psychology from the University of Connecticut more than a decade ago, his work has focused on studying the transition of students with disabilities to and within higher education and the preparation of faculty and college administrators to serve them. Copies of From Disability to Diversity are available in paperback or e-book format, and can be purchased now through the publisher’s web site, at the Landmark College campus bookstore, or through your favorite local bookstore or online retailer.